A fun, social day that includes various outdoor activities that will appeal to all, regardless of skill and fitness level! Getting out of the office and into nature will encourage relaxation and fun, away from the stresses of work. This product is also a cost effective way of bringing big groups together with different social backgrounds and interests. The basic itinerary incorporates activities in the morning (2-3 hours) followed by a relaxed buffet lunch. This can be adapted to the time you have available as well as to your catering needs. Gravity provides all of the equipment and facilitators for the various activities. To encourage participation by all, each person will need to select an activity that appeals to them. The guides will facilitate each activity in an informal way, ensuring that everyone gets involved and has a good time. Lunch will be served around 13h00 and the afternoon will be set aside for socialising and informal beach games. 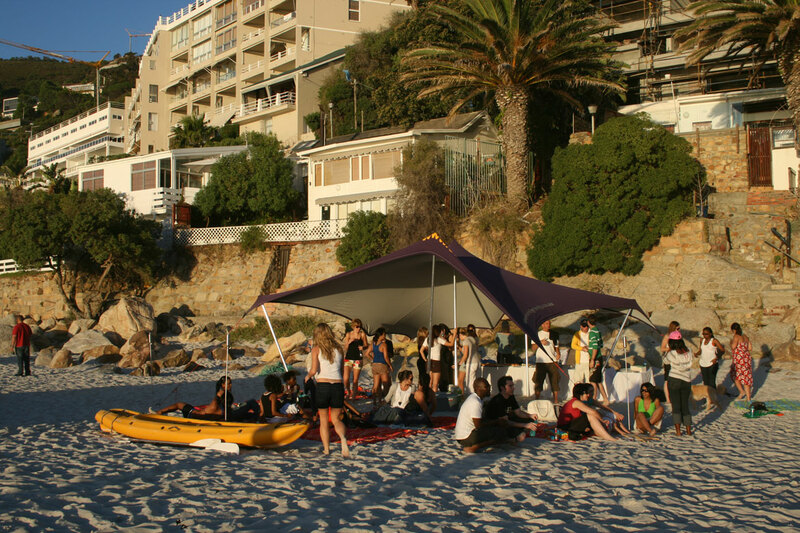 We can set up a Beach Day at various venues around Cape Town. Our favourite venue is the Palmiet River estuary near Kleinmond – the drive out is beautiful, the setting is extremely scenic and the range of activities offered should cater to all tastes. 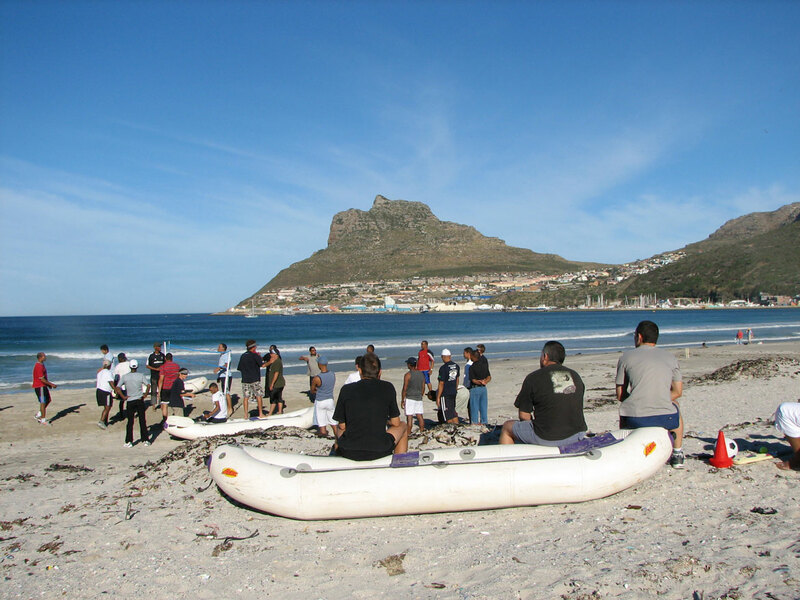 Other potential venues include Hout Bay, Clifton and Milnerton/ Blaawberg area as well as Langebaan. The standard lunch is a plentiful buffet with assorted salads, cold meats, breads, cheeses and desert, all served under our freeform tents and gazebos. At many of the venues, a tradtional braai with all of the trimming is also an option. Outside caterers can also be brought in if you are looking for more of a gourmet approach. You can arrange your own drinks or we can purchase them on your behalf – we will supply cooler boxes and ice to keep them frosty! Branded T-shirts can be printed to commemorate the day and a video can be produced for an additional R7500.00 for the group. We specialise in hearty, healthy catering and can personalise the menu to suit your needs – halaal, vegetarian etc is no problem. We can also arrange outside catering when required. The rates will vary depending on your group size and the venue you have selected – from R395.00 pp for a 2-3 hour experience, excluding catering. Contact Sales at Gravity to discuss your needs.